Copyright: The artist retains all copyrights to their artwork without exception. You are granting us a non-exclusive perpetual license to reproduce images of your artwork on our art-competition.net website and in our newsletters, and in the marketing of the art competitions to the general public. 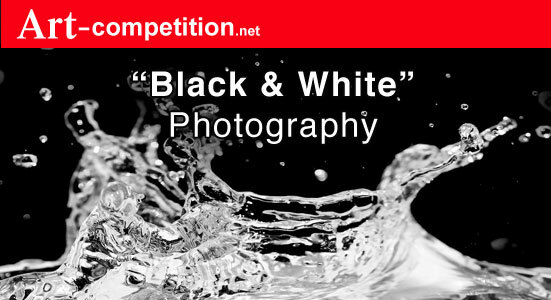 Theme: "Black & White Photography" – Black and white photography where the photographer’s lens captures a moment in time, a facial gesture, a flicker, reflection, glimpse, movement or expression. The work can express any aspect from representational to non-representational. Second Place: $125 in Cash, an Artist Website Pro website for one year with live tech support = Value $125. Image requirements: 1000px on the longest side and a resolution of 72dpi. jpg, gif, and png. formats.